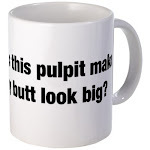 RevGalBlogPals: Late Night Preachers, Looking for the Party? Late Night Preachers, Looking for the Party? Come to the party at our new site, RevGalBlogPals.org! Same great times, same late nights.